I thought this recent picture I took at Kim and Anthony's wedding would be perfect for the hugs and kisses entry at I HEART FACES. Go check out some of the other entries! 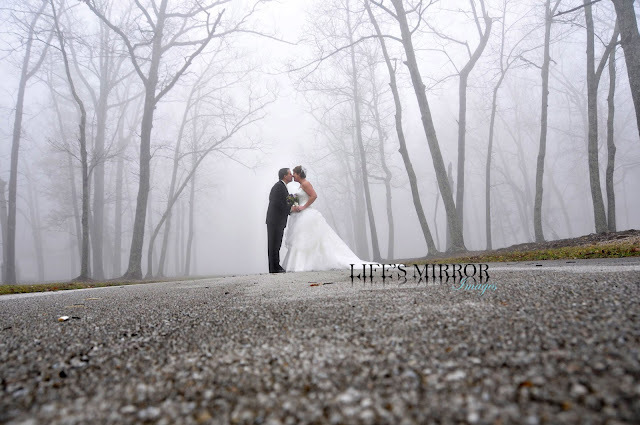 Beautiful moment!I LOVE the fog and the erspective. This is gorgeous! I just love fog pictures. wow i love the fog through the trees. beautiful!! Just beautiful. The angle is great, and the fog looks amazing..
Way to make beauty out of a gloomy day! Super shot, love the perspective and the mysterious air!